Ranchi: The journey of Heavy Engineering Corporation Ltd. (HEC), commenced with its inception on 31st December 1958. The company was one of the ambitious industrial projects of Independent India. HEC considered as Mother Company comprises of three distinct units HMBP, FFP & HMTP. All Units were well equipped with aggressive Marketing Team, working in the various diversified field to provide complete and cost-effective solutions to the customer’s advantage. In due course, HEC leveraged its strength and diversified to serve different sectors such as mining, railways, power, defence, nuclear& atomic energy. It was proposed by the management of HEC to let all the marketing team of different units come and work altogether as a centralized agency under one roof. It was envisaged to restructure Marketing Team fueled with young and energetic engineers to work more effectively. 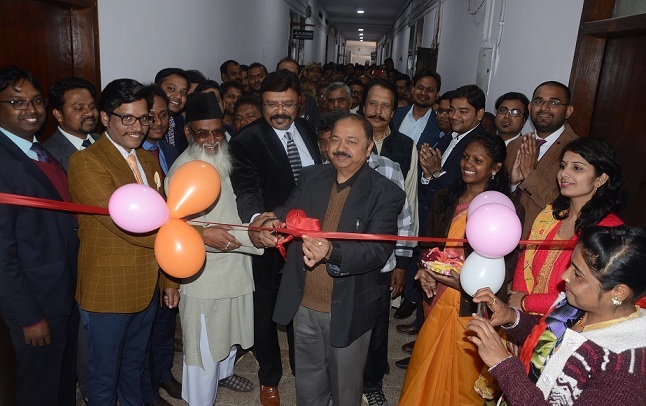 We are so pleased and proud that today on 24th of Jan., 2019 the efforts of HEC management finally shaped and the red ribbon was cut by our Honorable CMD Shri M.K. Saxena in the presence of Director (Mktg) Shri Rana S Chakravarty, CVO, Shri Deepak Kumar, other officials and the employees of the company. Hence this day embarks the inception of a new & modern Marketing Team of HEC.